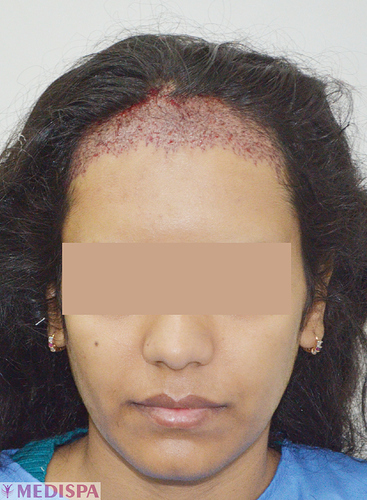 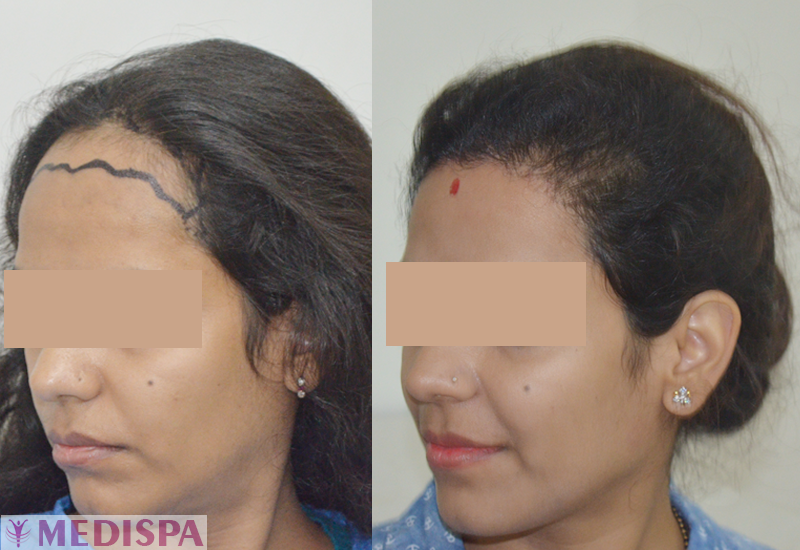 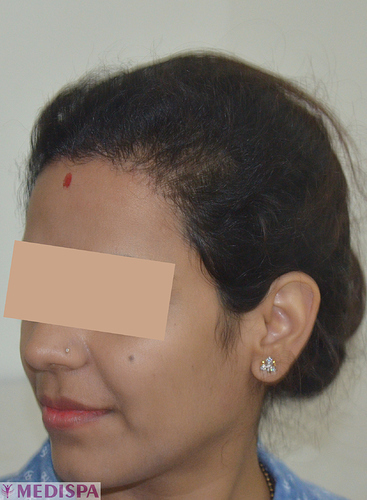 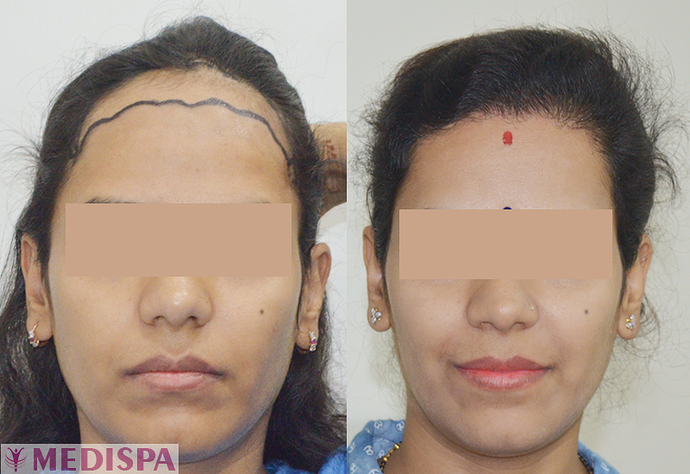 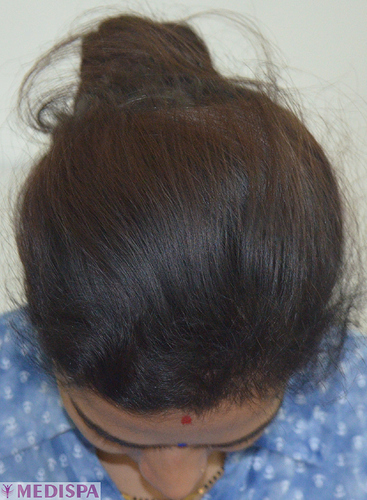 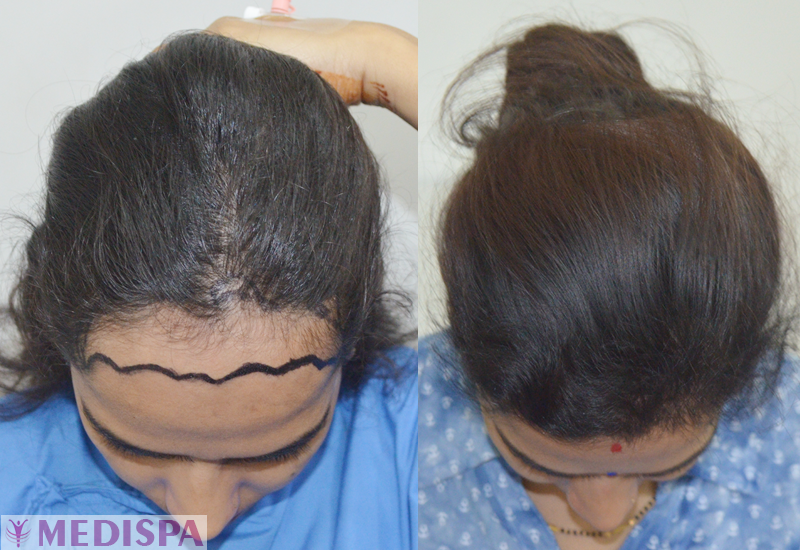 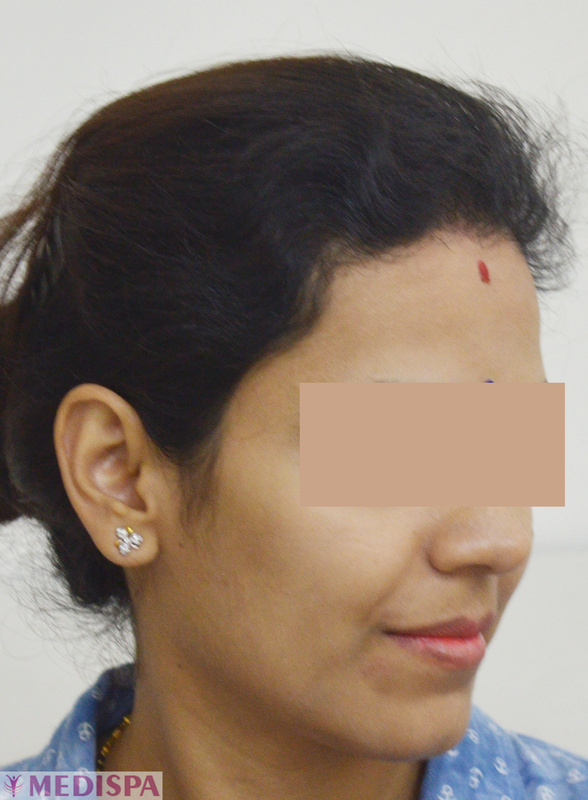 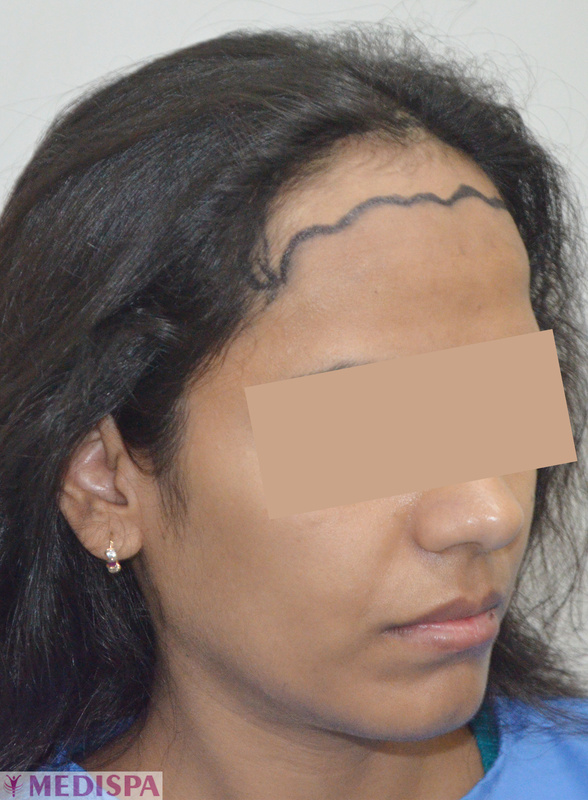 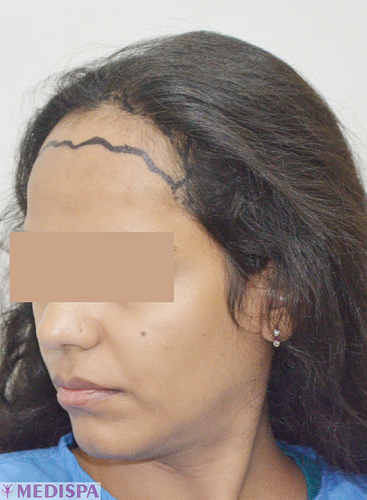 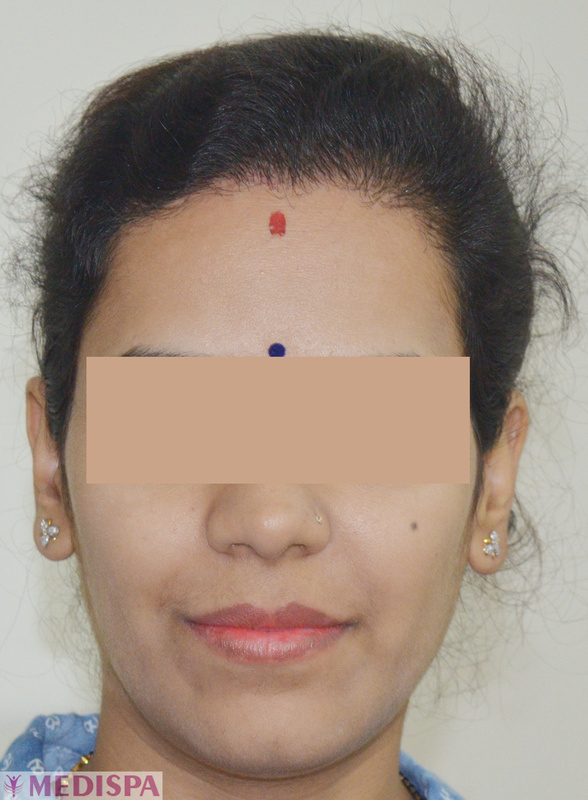 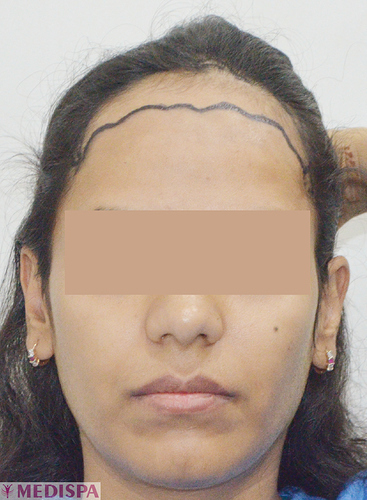 A 29-years-old female patient afflicted with the broad forehead by birth came to us in the view of enhancing her look by lowering the hairline. 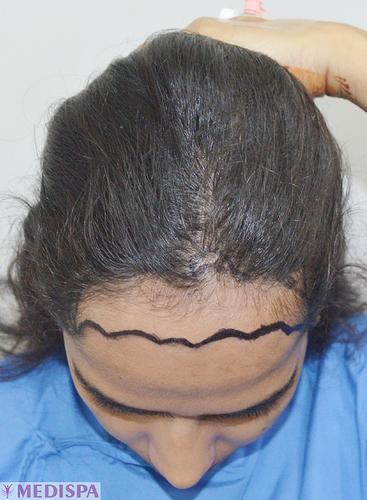 We have implanted 2500 densely-packed FUT grafts and given her the desired look. 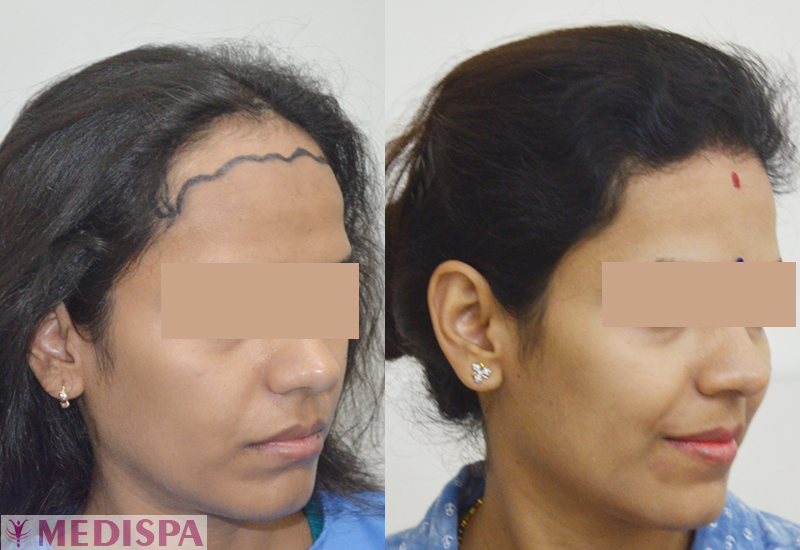 The hair transplant post-op photographs of 18 months are shown below!